If you’re like me, you’ve got GOBS of eBooks, likely in more than one format, all over the place. I’ve got tons of books in MS Reader format (now THERE’S a blast from the past that most of us would like to forget), eReader format, MobiPocket format, etc. Some of the books that I have are ones that I’d really like the read again and again; but now that I’ve got a Kindle, I’m kindle screwed when it comes to my library of well over 300 titles. 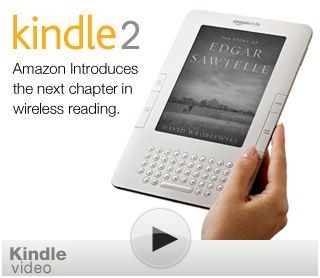 What’s a Kindle guy to do? There are a couple different options. 2. Begin to build it again – bit by bit on your Kindle with native books bought on Amazon. This is the option that Amazon would prefer you choose, by the way. 3. You can convert your library – There are a couple of cool apps out there that will allow you to convert your existing library to Kindle compatible files. There are converters availble for PDB files and for LIT files. 4. Have your eBook vendor convert them for you – Fictionwise now includes "Kindle Compatible – (.MOBI)" as a choice for some eBooks. This last option was of particular interest for me. I have quite an extensive Book Shelf over at Fictionwise…well over 150 titles. My biggest problem is that at least 1/3 of those titles are DRM encrypted. If your files are DRM protected, neither option 3 or option 4 are going to be available to you. Unless there’s some crack out there that will break PRC/PDB or LIT encryption, you’re going to go without your existing DRM protected eBooks on your Kindle. I searched high and low for a converter tool that wouldn’t strip out all of the formatting, maps, graphics, etc., in my eBooks, and the linked converters did the best job (though they were not format perfect, they were pretty darn close). 1. When copied to the documents folder on my Kindle, the books showed up as "Books" and not as "Personal Documents" on the device. 2. My Kindle read the .MOBI file directly, and it didn’t need any converting. Fictionwise can be found here, and you should give your bookshelf a long, hard look to see if any or all of your titles can be downloaded in Kindle compatible format.